Western Washington's best junk removal service. We offer our junk hauling service to the Seattle Tacoma area. We are locally owned and operated out of Bellevue Washington. Need junk removal Seattle? 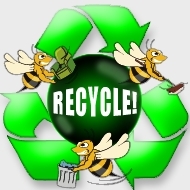 Please use Busby Junk Removal, call 1-877-404-5865 or schedule junk removal online. Busby Junk Removal has provided a variety of junk removal jobs through out the years. If you would like to see some examples of what we can do for you Select a Junk Project above. Busby Junk Removal works all over Seattle providing trash removal for local residents and businesses. If you would like to see what Busby has done in your city Select Your City above.